Accurate knowledge regarding the dynamics of child sexual abuse and the reliability of children’s eyewitness testimony is crucial for juror decision-making. However, if jurors harbor mistaken beliefs about how children respond to sexual abuse or are not aware of children’s ability to accurately describe their experiences, the likelihood of reaching a fair verdict is reduced. Child sexual abuse cases frequently contain features that pose challenges to effective prosecution including lack of hard evidence such as third-party eyewitnesses and unambiguous medical or physical evidence (Morison and Greene, 1992). Other specific features of child sexual abuse allegations such as delay in disclosure, contradictory or inconsistent statements and recantation can also create barriers to meeting the legal standard necessary for a conviction. Since the 1990s, hundreds of empirical studies have been conducted on children’s memory and suggestibility (Ceci and Bruck, 1995; Kuehnle, 1996). Findings from these studies have led to the development of interview practices that have proven to be effective for helping children accurately describe their experiences (Lamb, Orbach, Hershkowitz, Esplin, & Horowitz, 2007). Many studies have also yielded information that has improved understanding of children’s memory capabilities at different ages and their vulnerability to suggestive styles of questioning (Poole and Lamb, 1998). While advances in knowledge have dispelled some misconceptions concerning children’s cognitive and linguistic capabilities (Ceci, Kulkofsky, Klemfuss, Sweeney, & Bruck, 2007), questions remain about the extent and accuracy of jurors’ knowledge regarding how children respond when they are victims of sexual abuse (Buck, London & Wright, 2011). 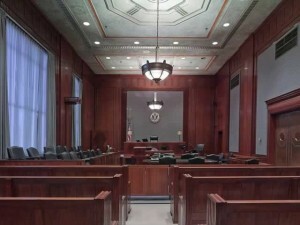 Such uncertainty raises legitimate questions about whether during trials for criminal sexual conduct a trial consultant and expert witness testimony is useful or necessary to educate jurors about facts with which they may not be aware, to provide research-based testimony to correct misunderstandings that may exist or to address unique features of a case. There may be other practical reasons for introducing expert witness testimony at trial or at least using a trial consultant to determine whether such testimony may be beneficial. From a defense perspective, the Michigan Court of Appeals has found that defense counsel’s failure to adequately investigate the benefit of expert witness testimony constituted ineffective assistance of counsel because it deprived the defendant of a substantial defense against charges of first-degree criminal sexual conduct (People v. Brannon, 2010). On the other hand, the prosecution might consider presenting expert witness testimony to explain research findings on issues commonly challenged by the defense such as factors associated with a delay in disclosure, recantation, or the reliability of child sexual abuse reports. Empirical research conducted on the subject of juror knowledge reveals areas where many jurors possess adequate understanding and areas where they lack accurate information. These latter instances are of importance to prosecution and defense counsel because this is where a trial consultant’s expert witness testimony can be extremely useful to help jurors evaluate the testimony of a child witness or other important evidence. In a study comparing juror and expert knowledge, Morison and Greene (1992) identified several issues where jurors were not as well informed as experts. For example, over half the jurors mistakenly believed that most children sustain physical injury when sexually abused, and many others, albeit fewer than 50%, mistakenly believed that in most cases there should be physical evidence to substantiate the allegation. Furthermore, more than one-third of jurors had the erroneous impression that child victims actively resist, cry for help or seek to escape. Jurors also held mistaken ideas about offender and victim characteristics. Approximately 20% subscribed to stereotyped images of child molesters (i.e., “Dirty Old Man”). A similar number did not realize that children often are sexually abused by someone whom they know and that children of all ages can be sexually abused. In addition, while most jurors understood that children do not seek to be abused and are not responsible for its occurrence, almost 10% of jurors did not understand these basic facts. The findings from this study led Morison and Greene (1992) to conclude that “In comparison to knowledgeable experts, jurors appear to have limited and even erroneous understanding of the offense, offender, victim, and victim response characteristics. This finding satisfies the admissibility requirement that testimony supplied by an expert witness be beyond the common knowledge of the jury, and suggests that expert witness testimony on selected topics involving CSA [child sexual abuse] could assist jurors” (p. 609). In a study comparing jury-eligible undergraduate students and adults recently dismissed from jury duty, Quas, Thompson & Clarke-Stewart (2005) found that most respondents thought that they possessed accurate knowledge about child sexual abuse, as measured by a 27-item belief questionnaire. Although the data showed that many respondents possessed some knowledge consistent with scientific consensus, it did not support the subjects’ overall optimistic assessment of their level of knowledge. Here are some examples of this misplaced optimism: (a) Thirty percent of respondents did not understand that children can remember events that occur only one time as well as events that occur more than one time. (b) While most respondents believed that children can reliably report events, 34% did not believe that children could recall events sufficiently to be reliable witnesses. (c) Thirty percent of respondents did not believe that children were capable of distinguishing between the truth and a lie. (d) Sixty-four percent of respondents believed that infants were capable of remembering painful, repeated instances of sexual abuse, revealing a serious misunderstanding of infants’ memory capabilities. Other results from this study showed that while most respondents correctly realized that children could be led to make unreliable and false reports of sexual abuse, a sizable minority of 29% did not know that children could be misled by an adult into making an untrue report and 30% of respondents did not realize that children could be manipulated into making a false report of sexual abuse. An even larger minority, 42%, did not know that repeatedly asking direct questions (i.e., “Did he touch your private parts?”) could lead children to make false reports of sexual abuse, while 53% believed that repeatedly asking open-ended questions (i.e., “What else happened?”) could lead to untrue allegations. Another sizable minority of respondents, 45%, did not know that children are more easily influenced by leading questions than adults. A smaller group, 32%, incorrectly believed that a psychologist would be able to determine whether an adult influenced a child’s report of an event. Fifty-four percent of respondents were not aware that children could develop the false belief that they were sexually abused, and 56% incorrectly believe that a child must have experienced sexual abuse to describe it. These results show two groups of adults, who are jury-eligible and who have served on juries, possess a mixture of accurate and inaccurate knowledge of child sexual abuse and that not one single statement was correctly endorsed by all respondents. Even though many of the research subjects conveyed accurate knowledge of some topics, a substantial minority, and sometimes a majority, demonstrated a lack of accurate knowledge concerning a variety of topics including (a) children’s memory capabilities; (b) proper interview techniques; (c) professionals’ inability to accurately detect child sexual abuse; (d) symptoms of child sexual abuse; (e) the fact that some children believe the fictitious events they describe; and, (f) that some children invent stories of having been sexually abused in the absence of such experience. In view of these findings, Quas et al. (2005) concluded that a trial consultant or expert witness testimony might be useful at reducing the variability of juror’s knowledge concerning these issues. In a review of studies of beliefs held by adults about how children respond to sexual abuse, Shackel (2008) observed that lay people, mental health professionals, judges, and jurors lacked accurate knowledge of several behavior patterns. Among the findings, she noted that many people “…believe that delay in disclosure, retraction, and inconsistent reporting of sexual abuse are uncommon and are indicative of fabrication of allegations of sexual abuse; usually victims of child sexual abuse are fearful of the perpetrator; and most children will display clear behavioral indicators of sexual abuse” (p. 494). The results of this review are consistent with the studies noted above that reveal common misunderstandings of empirical research on how children respond to sexual abuse. McAuliff and Kovera (2007) conducted a study to determine whether social framework evidence meets the “helpfulness” requirement of Federal Rules of Evidence 702 (FRE, 2001). The concept of social framework evidence, introduced by Walker and Monahan (1987), involves using general research findings “… to construct a frame of reference or background context for deciding factual issues crucial to the resolution of a specific case” (p. 559). Rule 702, dealing with testimony by experts, requires that testimony “… will assist the trier of fact to understand the evidence or to determine a fact in issue.” McAuliff and Kovera’s (2007) study surveyed experts, jurors and college students to determine their knowledge of factors that influence witness suggestibility and whether experts can provide jurors with information that they do not already possess. The results revealed that jurors and college students were comparably knowledgeable about some issues but their knowledge fell short of what experts knew. On the topic of suggestibility, both groups of laypeople were less likely than experts to know that “witnesses were more resistant to misinformation concerning central details than to misinformation about peripheral details… witnesses who actively participated in the to-be-remembered event were more accurate when questioned in a misleading manner than witnesses who passively observed the event” and that “misleading suggestion from a highly prestigious source was more damaging to witness accuracy than a misleading suggestion from a source of equal or lesser status” (p. 863). Consistent with these findings, jurors and college students also indicated that they generally lacked knowledge related to witness suggestibility research, which led to the conclusion that expert witness testimony on these specific topics would meet the ‘helpfulness’ requirement of FRE 702. The use of social framework evidence was also examined in a study to determine whether expert witness testimony about forensic interview quality helps jurors distinguish between well- and poorly-conducted interviews (Buck, London, & Wright, 2011). This is an important issue because in many cases of child sexual abuse a forensic interview may be substituted for the alleged victim’s live testimony. A large body of research (Ceci and Bruck, 1995; Kuehnle, 1996; Poole and Lamb, 1998) has established that the quality of a forensic interview can substantially affect the reliability and accuracy of children’s reports. As one example, the NICHD Forensic Interview Protocol has been shown to improve interview quality as well as the quality of information provided by children who are thought to be victims of sexual abuse (Katz, Hershkowitz, Malloy, Lamb, Atabaki, & Spindler, 2012). Despite these findings, forensic interviewers frequently do not follow recommended interview guidelines, thus failing to adhere to best-practice standards (Warren, Woodall, Hunt, & Perry, 1996). Given the pattern of inconsistencies in juror knowledge, it would be useful to know whether jurors comprehend the importance of following established interview guidelines when a forensic interview of a child is presented as evidence in lieu of the alleged victim’s actual testimony. Buck et al. (2011) found that expert witness testimony was, in fact, helpful at educating mock jurors about the connection between interview quality and the accuracy of children’s reports because they used this information to evaluate the evidence: “Our findings revealed that expert testimony sensitized mock jurors to the impact of interview quality on the accuracy of child witnesses’ reports. With no expert testimony, mock jurors failed to consider the quality of the forensic interview when reaching a verdict. However, we found that when expert witness testimony was present, jurors applied the research on expert testimony to their verdicts” (p. 160). Allegations of child sexual abuse can be complicated to prosecute and to defend. Given the nature of these cases, specialized knowledge about children’s reactions to sexual abuse and proper forensic interviewing procedures are required to accurately weigh evidence. The research reviewed for this article shows that while many jurors possess a reasonable level of knowledge of the topics that are commonly involved in these cases, a sizable number of jurors lack an accurate understanding of important facts and information. In summary, even though most jurors possess accurate knowledge regarding some specific issues of child sexual abuse, gaps in knowledge about other topics was well above a satisfactory level. This highlights the importance of prosecutors and defense counsel to carefully consider all the issues in each case to determine whether a trial consultant and expert witness testimony may assist jurors to properly understand and weigh evidence so they can reach a fair and just verdict. For more information about Forensic Interviewing of Children click here. Buck, J.A., London, K., & Wright, D.B. (2011). Expert testimony regarding child witnesses: Does it sensitize jurors to forensic interview quality? Law and Human Behavior, 35, 152-164. Ceci, S.J., & Bruck, M. (1995). Jeopardy in the courtroom: A scientific analysis of children’s testimony. Washington, DC: American Psychological Association. Ceci, S.J., Kulkofsky, S., Klemfuss, J.Z., Sweeney, C.D., & Bruck, M. (2007). Unwarranted assumptions about children’s testimonial accuracy. Annual Review of Clinical Psychology, 3, 311-328. Katz, C., Hershkowitz, I., Malloy, L.C., Lamb, M.E., Atabaki, A., & Spindler, S. (2012). Non-verbal behavior of children who disclose or do not disclose child abuse in investigative interviews. Child Abuse & Neglect, 36, 12-20. Lamb, M.E., Orbach, Y., Hershkowitz, I., Esplin, P., & Horowitz, D. (2007). A structured forensic interview protocol improves the quality and informativeness of investigative interview with children: A review of research using the NICHD Investigative Interview Protocol. Child Abuse & Neglect, 31, 1201-1231. McAuliff, B.D., & Kovera, M.B. (2007). Estimating the effects of misleading information on witness accuracy: Can experts tell jurors something they don’t already know? Applied Cognitive Psychology, 21, 849-870. Morison, S., & Greene, E. (1992). Juror and expert knowledge of child sexual abuse. Child Abuse & Neglect, 16, 595-613. Poole, D.A., & Lamb, M.E. (1998). Investigative interview of children: A guide for helping professionals. Washington, DC: American Psychological Association. Quas, J.A., Thompson, W.C., & Clarke-Stewart, K.A. (2005) Do jurors “know” what isn’t so about child witnesses? Law and Human Behavior, 29, 425-456. Shackel, R.L. (2008). The beliefs commonly held by adults about children’s behavioral responses to sexual victimization. Child Abuse & Neglect, 32, 485-495. Walker, L., & Monahan, J. (1987). Social frameworks: A new use of social science in law. Virginia Law Review, 73, 559-598. Warren, A.R., Woodall, C.E., Hunt, J.S., & Perry, N.W. (1996). “It sounds good in theory, but…”: Do investigative interviewers follow guidelines based on memory research? Child Maltreatment, 1, 231-245. For more information or to make an appointment, please call Swerdlow-Freed Psychology at 248.539.7777. Our offices are conveniently located at 30600 Northwestern Highway, Suite 210, Farmington Hills, Michigan 48334-3171, and 55 North Pond Drive, Suite 6, Walled Lake, Michigan 48390-3080.